A lot of sauce has gathered at the top, and it's a fairly thick layer too. I don't eat it whole but rather try to spread some out on to every bite in this first scooping. I know it's my imagination, but I swear I taste a little hazelnut in this fudge swirl. Ok, maybe not hazelnut, but definitely maybe a bit woodsy (or cardboard like). Whatever the taste, it certainly doesn't remind me of brownies. The icy factor is ruining my enjoying. you shouldn't be able to hear ice crystals crack at you scoop. It doesn't feel good as you chew either. 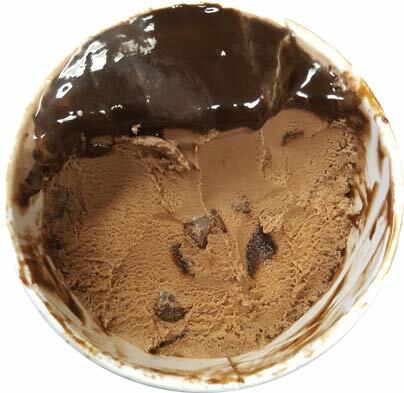 If you get a couple of brownie chunks, it will distract you a bit from that icy texture, but it's tough when they aren't there. I shouldn't have expected to go 4 for 4 on these cumberland farms pints. It's just that I really wanted chocolate and I had (forget the name) in my hand but put it down for this one. Guess I should have stuck with that other pint. On Second Scoop: You know something is terrible when you can't even force yourself to second scoop up. I bought this pint way before we left for Virginia and I just now forced myself to try to eat a bit more of it today. The bad news is that it's still pretty terrible. Even if the texture wasn't a mess, I still doubt I would like this one. The good news is that I've been to Cumby's enough now that I finally have a hang of which pints are fresh and which aren't. For example, the freshest ones this week are dated for expiration at the end of December 2018. 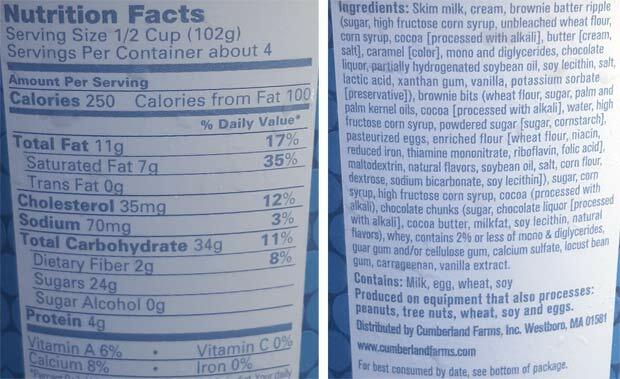 With that knowledge, I should be able to safely try a few more flavors which is good because this one was terrible. Bad base. Bad swirl. Meh brownies. So freezer burned. I had brownie batter ice cream BEFORE it was cool. Was gonna make brownies as a kid one day...Randomly decided to freeze the batter (because I loved the taste of the batter more) and used it as a topping for vanilla ice cream. I keep wanting for companies to replicate this experience (as I REFUSE to do this as an adult, as I want to continue maintaining a 60 pound weight loss) whenever I see "brownie batter" and I end up being dissapointed. It's not rocket science. Take an off-brand brownie mix, mix it with water and oil, swirl it into the ice cream. It can't be that expensive or difficult. Why are they all using fudge sauce and calling it "batter"? The texture is so bad, the chips are actually welcome. That is very disappointing! The name sounds so good!! I think people should make brownie batter "fudge sauce" at home with brownie mix. But not adding eggs or oil. Just swap for applesauce and water. Pour over ice cream or swirl it. Cake batter can be used too. YUM! 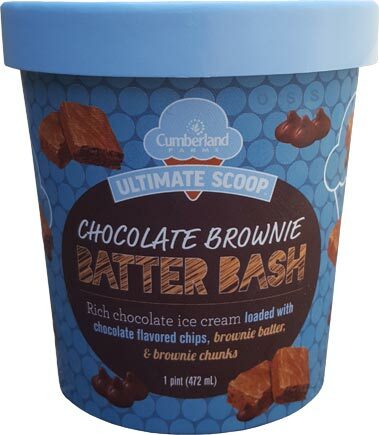 A company could make a loaded "kitchen" sink ice cream with cake batter, brownie fudge sauce, and chunks of brownies & cookie dough. I like how it is "chocolate FLAVORED chips" like hey we can't even get real chocolate chips anymore. 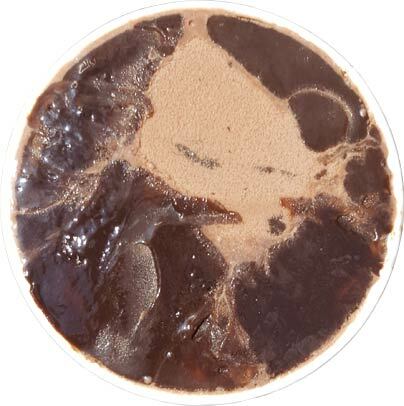 Soon it is going to be "chocolate like flavored flavoring frozen like dairy desert with chocolate like chocolate chips with brownie tasting frozen dairyless swirl"